Living in an RV is an extreme adventure. Enjoying the open road, traveling the country, and bonding with your loved ones. However, it is also a huge adjustment. You are used to having large spaces around you, and space for all your things. Now you are confined to this smaller space and things can get tricky, especially if there are a lot of people on your RV trip. Frog City RV Park near Lafayette, LA, wants to give you tips and tricks on how to make your downsized living space more manageable. These little life hacks are sure to make a huge difference on your RV trip, trust us. You only need the absolute essentials. 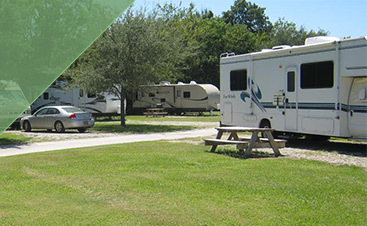 Don’t overpack for your RV trip because you already have less space than you are used to. Make a checklist of everything you need, and stick to it. You don’t need that fourth pair of shoes. RV’s are still vehicles, so it’s going to be tricky to keep them at the temperature you want. Something that’s a big help is Reflectix. It is a material that was made to keep the space temperate at all times. It’s similar to bubble wrap with two metallic pieces on the outside of the middle layer. Cut the pieces to be a little larger than each window and this will help control the temperature and make sure you can stay cool in our Louisiana heat. Installing hooks around the RV will save tons of space. Keeping things off the floor and furniture of the RV is a smart thing you can do. Hang towels, jackets, and clothes. This creates more area within the RV, and provides a good place to let clothes dry after going into our awesome swimming pool at Frog City RV Park in LA! Creating pocket holders for your toiletries is a great way to keep organized. You can use an over the door shoe organizer for the best result. Organize it by product, or by person. Not only will this reduce clutter, but it will help everyone know which items are theirs, and they will know exactly where to find them. These little tips and tricks will make a huge difference on your next RV Trip. Looking for yet another thing that will also have a great impact on your trip? 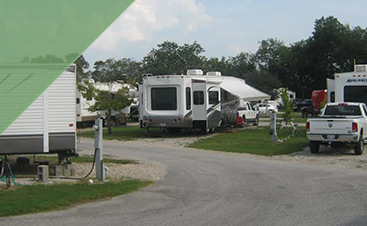 Frog City RV Park near Lafayette, LA! We have an amazing spot for you to set up came for a day or several. 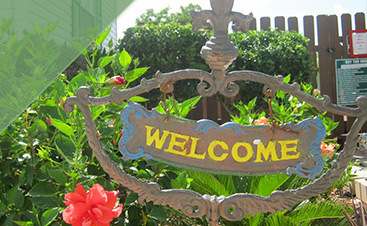 We offer great amenities and have lots of fun attractions nearby. So next time you are hitting the road remember these tips, and remember Frog City RV Park In LA. Give us a call, or just hop on over, we’ll be waiting!